"Super Djata is one of boldest and most exciting orchestras in the history of African modern music, if not one of Africa’s greatest and most unsung ensembles. 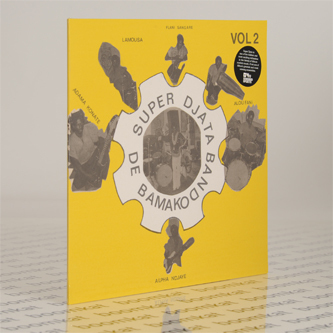 Led by the late great Zani Diabaté, Super Djata Band de Bamako stands proud as one of West Africa’s fiercest orchestras, with only a handful of releases and many tremendous gigs given over the last forty years. Born in 1947 in the Sikasso region, Zani belongs to one of Mali’s most famous griot families. As a child he learnt how to play the bolon, a string instrument with a bass sound, and the balafon, before learning how to dance. As a sixteen year old, he joined the Ballet National du Mali, an official dance ensemble. In the same vein as the Ensemble Instrumental du Mali, Ballet National du Mali served Modibo Keita’s cultural authenticity policy in the 1960s. Zani was also taught how to play percussion by legendary Voltaic musician Amadou Ballaké in the mid-1960s. During his time at the Ballet National du Mali, he befriends fellow musician and dancer Daouda ‘Flani’ Sangaré. Flani introduced him to his very close friend Alou Fané. Both of them came from the same region as Zani, sharing some of the same cultural references. As a trio, they joined forces together in order to set up the Harmonica Jazz with Zani playing the harmonica. They moved on to the name Ganoua Band, where Zani played the guitar, Alou and Flani sang and played the kamalen ngoni while another Ballet friend, Maré Sanogo, played the djembé and other percussions. This small local outfit expanded with the arrival of three other musicians from the Ballet National du Mali. They then set up the Djata Band name in order to start one of Mali’s first private orchestras. Thanks to their leader’s experience, the Djata Band quickly rose to fame within the Bamako region. Despite the lack of official support, Djata Band started to record their compositions under the aegis of expert engineer Boubacar Traoré at Radio Mali’s tiny recording studio. By the end of the 1970s, the band’s repertoire was already very large and diverse. Their first album was released through the Discorama record label in Abidjan. 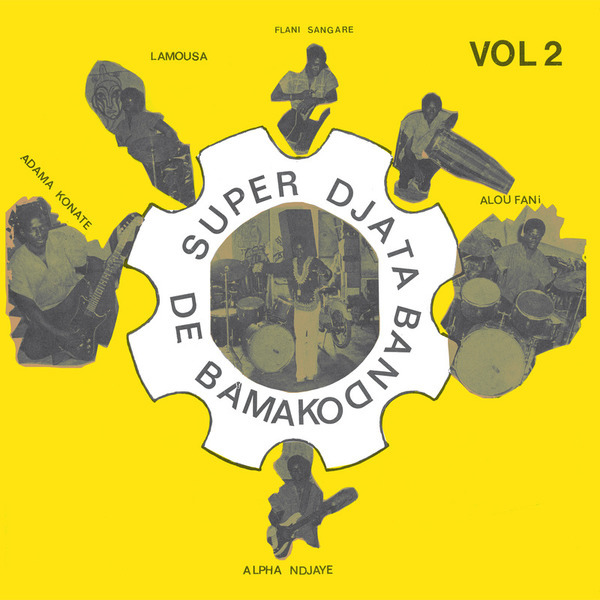 Like several other Malian artists of the early 1980s, Super Djata’s only outlet for their material lay in some Ivorian record company. Bringing together bambara traditions, Wasulu hunter music, Kenedugu’s balafon music and bozo fishermen dances, mandingo chants and fula repertoire, mixed with a spicy, and at times even psychedelic guitar, Zani Diabaté’s Super Djata Band came to the forefront of the emerging world music scene in the early 1980’s as one of Mali’s strongest bands."